We channel our inner lumberjacks and are buzzing to show you one of the latest awards to come out of our workshop. 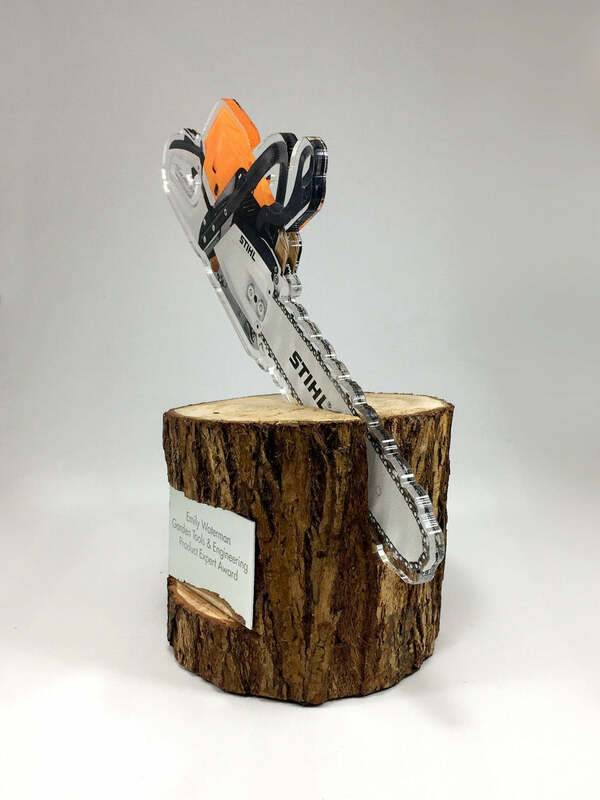 This special award is truly unique and features a custom cut acrylic chainsaw with rear printed graphics resting in FSC approved oak log. 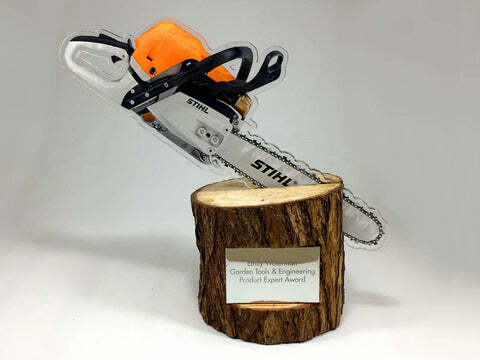 The bespoke award contrasts the organic material of the wood with the custom machined acrylic chainsaw. 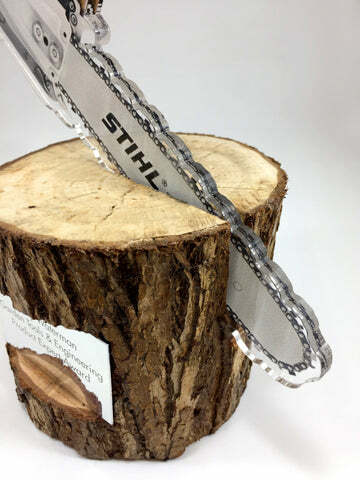 To finish, a hand engraved silver plaque as applied to the base of the award.